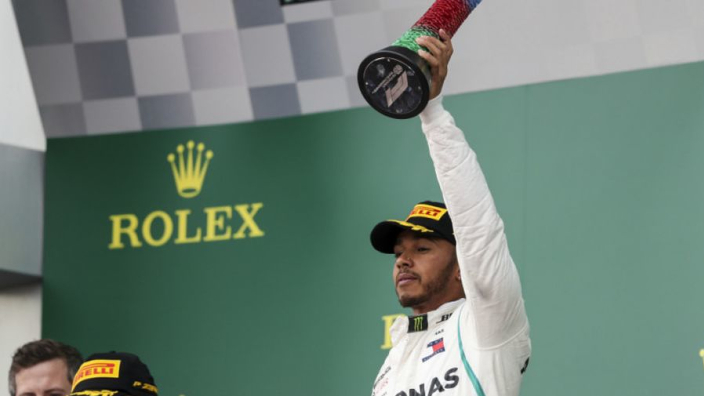 Lewis Hamilton insists he still has the hunger to win Grand Prix races and the 2018 world championship despite surrendering the lead in the Formula One rankings to Sebastian Vettel over the weekend following the German's win and his disappointing, fifth-placed finish in Montreal. It was a procession for Vettel in the Canadian GP, as he led from pole to flag without much competition coming from behind. Valtteri Bottas of Mercedes finished in second and Max Verstappen of Red Bull came third, but Hamilton finished in fifth. Vettel is now one point ahead in the championship, but Hamilton has full confidence in his team to get him back into the top spot. “I’m really proud of my guys," he said of the Mercedes crew. "They are working so hard and continuously pushing. It is definitely tough when you have a weekend where you feel like you have done everything right and you don't get the result. Mercedes were scheduled for an engine change similar to their rivals ahead of Canada, but a technical issue meant it was postponed, meaning they had to struggle through the race with their older engine. Hamilton has admitted he thought the power unit was going to fail, which ultimately made the P5 finish easier to take. "I thought the engine was going to fail," the 2017 champion continued. ”Straight from the start, I got to Turn 2 and the power started dropping out. "Every now and then there was a little bit of a chance and then a back-marker gets in the way, you get close and the car slides off the road. I still love the challenge."